^ White, Alasdair (1 December 2009). 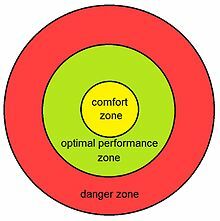 From Comfort Zone to Performance Management: Understanding Development and Performance. White & MacLean Publishing. ISBN 978-2-930583-01-3. https://books.google.com/books?id=H4R3MAEACAAJ.